No Flood Insurance Required! Say hello to your new home! 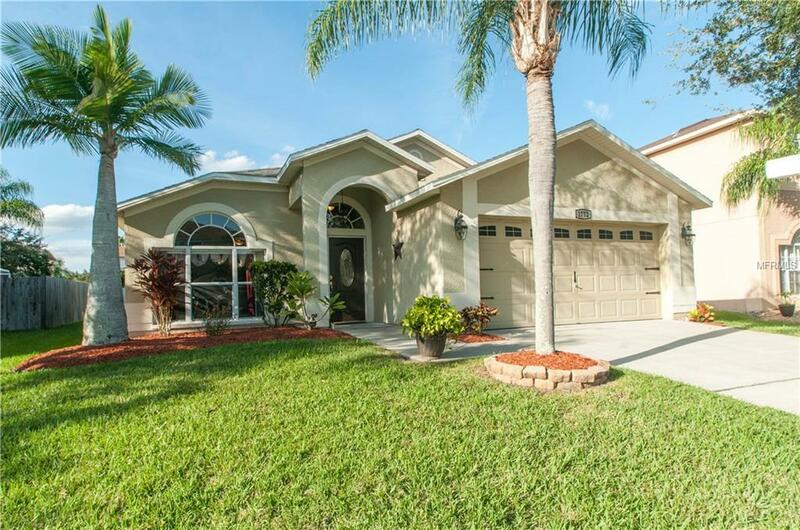 This lovely 3/2 is loaded with fabulous features and is in a great location. Just off of Tampa Rd, your commute will be fast and easy. As you pull into the driveway, take a moment to notice the thoughtfully maintained landscaping. Upon entering the home, the formal living room with vaulted ceilings and huge windows flooded with natural light will greet you. The split floor plan is perfect for privacy. To the right of the living room you will enjoy a spacious utility room, 2 bedrooms and a bathroom - perfect for family, guests or a quiet office space. Head towards the back of the house into your cozy family room. The kitchen is to the left with tons of storage and counter space. Perfect for home chefs. The dinette is open to the family room, which makes entertaining effortless. The master bedroom has large windows and a luxurious ensuite complete with a Jacuzzi garden tub. Make your way outside to relax on your huge screened lanai and swimming pool. Theres a covered area with room to grill and escape the midday sun and of course plenty of space to soak up some rays while enjoying your inground pool. There is also a GFI breaker installed for a spa! This home has been lovingly cared for inside and out. Roof 2018. AC 2008. Water heater 2015. Wheelchair accessible. Low cost HOA which includes community pool, playground and annual block party. Make an offer today! Seller states the that their lender does not require Flood Insurance.